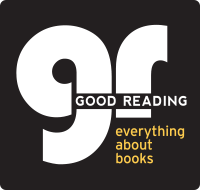 NEW Good Reading Resource Hub is launched! Have access to the articles and reviews in all the magazines in a website format. You will also have access to bonus exclusive interviews and stories just for online subscribers. View the print magazine in a digital format. This is the same format as you have been viewing before. Purchase books. For the convenience of readers they have connected their website with Booktopia, so you can purchase books. This entry was posted in Australian Authors, Awards & Prize Lists, Biographies, Book Reviews, eLibrary, Fantasy, Fiction, Historical Fiction, Mystery & Crime, New Arrivals, Non Fiction, Reading Lists, Recommended Reading, Romance by Parra Reader. Bookmark the permalink.